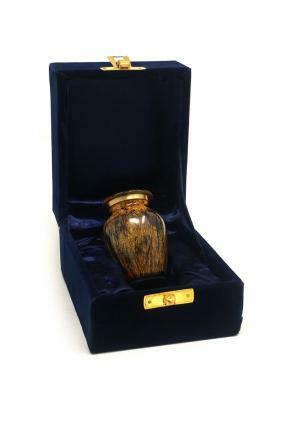 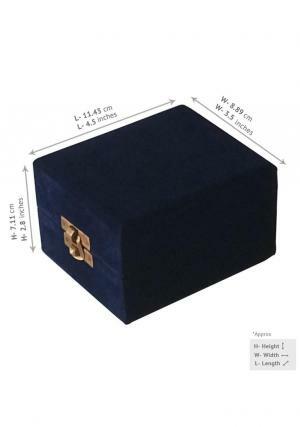 The mini keepsake Ashes Container Funeral urn is crafted from Brass. 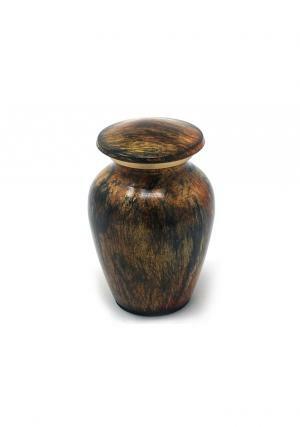 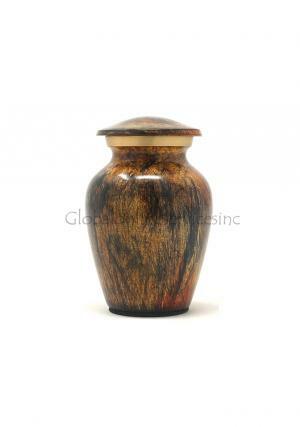 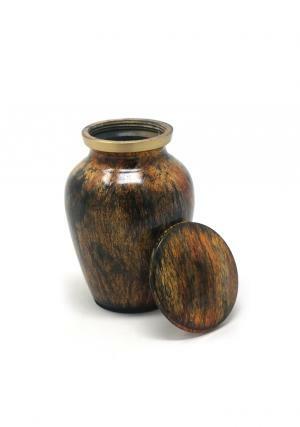 The urn has a beautiful hand-painted wooden finish. 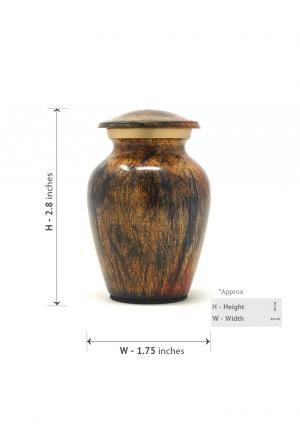 The Keepsake Brass Ashes Container Wooden finish urn has on lid used for secure closure of the demised loved one’s ashes in the urn with screw threading on the top with designed.